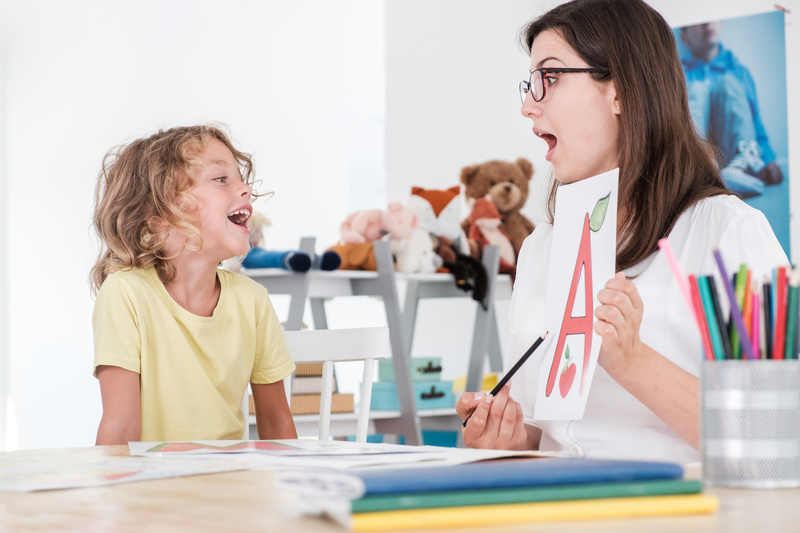 The U.S. Bureau of Labor Statistics reports the national demand for speech-language pathologists is expected grow nearly 20 percent by 2026 – much faster than the national average. Why Aren’t There Enough Florida Pediatric Speech-Language Therapists in Schools? Even when Florida public school districts can hire speech therapists, retaining them is sometimes a challenge too. Long hours, excessive paperwork, slow bureaucracy and unmanageable caseloads – all of this is unfortunately common in some districts. Poor job satisfaction leads to burnout – and inevitably impacts therapy quality. Part of the problem is so many children need speech therapy in Florida – and across the country. The U.S. Department of Education reports nearly 1 in 5 public schoolchildren ages 6 to 21 with IEPs have some type of speech or language impairment. It’s the most common type of disability category, accounting for 55 percent of all preschoolers receiving special education services. The good news is kids are being screened for delays much younger and diagnosed more frequently – both things that grant access to early intervention speech therapy, which is huge. But schools haven’t been prepared for the influx. Autism diagnoses in particular have sharply risen. The American Academy of Pediatrics most recent survey results show 1 in 40 children in the U.S. has an autism diagnosis (with boys being 3.5 times more likely to be on the spectrum). The U.S. Centers for Disease Control and Prevention in April pegged autism prevalence as slightly lower, 1 in 59 children by age 8. Yet even by this more conservative figure, that’s still a 15 percent spike over the two years prior, when it was 1 in 68. Another factor that makes it hard for schools to recruit is school-age children aren’t the only ones who need speech therapy. Florida in particular has a higher percentage of elderly residents compared to many other states – a group more commonly prescribed speech therapy to regain communication function after suffering conditions like stroke, brain injury or cancer of the head, mouth and throat. Speech therapists also help with feeding and swallowing – a common concern for patients with dementia and related conditions. Plus as we get older, even healthy people will experience loss of elasticity in the vocal cords and strength in the larynx muscles. Some of these positions may pay better than public schools, particularly since nursing homes are increasingly shifting from non-profit to privatized. None of this is to say the speech therapy services at schools has no value – it does. But for a lot of children with special needs, it should probably be considered supplementary to a more intensive therapy schedule. Something that sets our FOCUS Fort Myers pediatric speech-language therapists apart not just from the services of the schools but other therapy providers in the area is the way we go about hiring. We have a bit more flexibility to be choosy with the qualities and qualifications of those we bring on, so we’ve built a speech therapy team of professionals who are not just highly-qualified, but also are passionate about the work, excited about collaborative therapy, eager to join an upbeat and close-knit group and – most importantly – LOVE working with kids. By actively cultivating a positive work environment and promoting a healthy work-life balance, our therapist retention rate is low. A therapist who is valued stays longer and becomes more invested in every child’s progress.